“We can’t make these into museums. 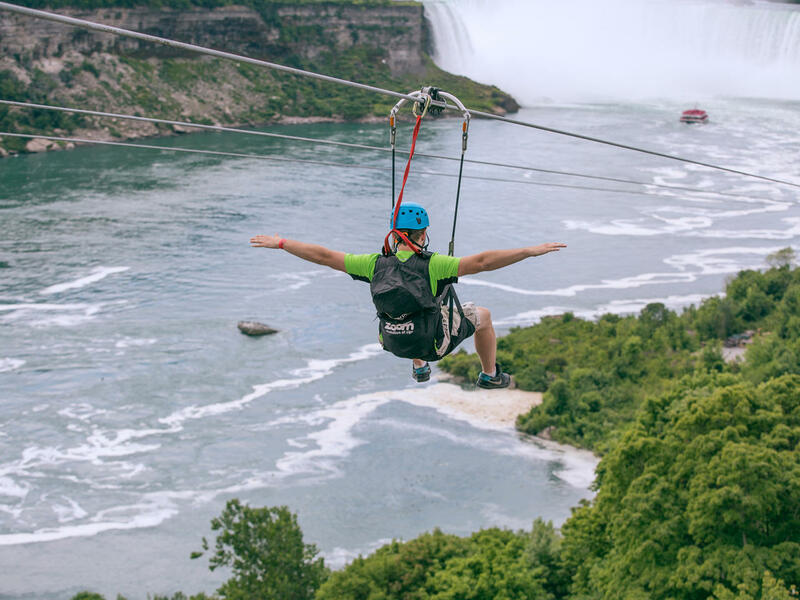 We have to keep the general public - the folks that these places have been set aside for - we have to keep them motivated to get out there,” argued Tom Benson, co-founder and chief experience officer at WildPlay Element Parks, which built the Niagara Falls zip line. “How do you take a teenager and get them away from a game console to something that is going to capture their imagination?” he asked. CBS Buffalo affiliate WIVB reports the ride starts at the top of the tower near the Hornblower docks and ends near the base of the Canadian Falls. Four riders can go at one time to enjoy the breathtaking view of the American and Canadian Falls together. The world-class attraction is open for any thrill seeker over age seven, weighing between 65 and 300 pounds, who wants to give it a go. They can ride above the tree line at New River Gorge in West Virginia, over California’s Catalina Island, above lush Hawaiian landscapes and in view of Denali in Alaska. A zip line ride in Mexico’s Copper Canyon runs more than 1 ½ miles, one in Nepal has a drop of 2,000 feet and another in Sun City, South Africa, boasts top speeds of 100 mph. “Every once in a while somebody comes along and says, ‘Boy, you could build another great attraction here!’ As if the falls itself wasn’t enough of an attraction,” Bannister said. Zip line fans say it’s still possible to marvel at nature while whizzing above it at highway speeds. At Niagara Falls, WildPlay’s Benson said his four lines angling 2,200 feet along the Canadian side of the gorge were designed to be sensitive to the local environment. Catalina Island’s zip line makes stops for presentations at designated “eco-stations.” And riders of the Lake George zip line who were questioned after their rides said they had a new perspective on the natural wonder. The owner of the Lake George line, Ralph Macchio Sr. (father of the “Karate Kid” actor with the same name), said he got the idea for his attraction by gazing out from atop the majestic Adirondack peaks.